Mnova Combos allow you to enjoy several Mnova plugins at the same time while you get important savings on the price they pay. 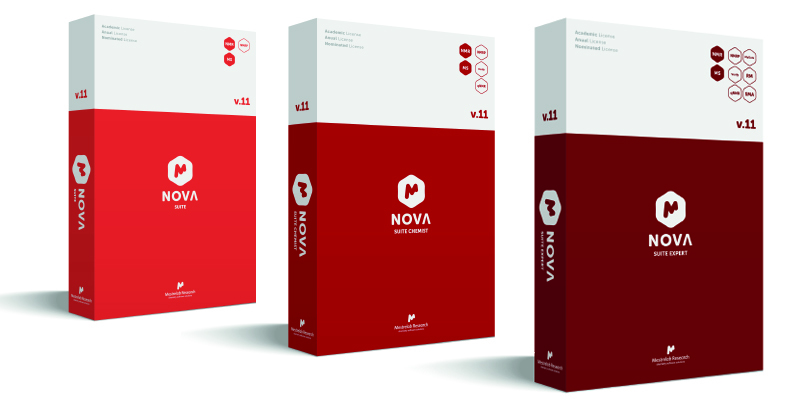 If you are a current Mnova customer, we will redeem the value you have already spent when upgrading to higher combo. 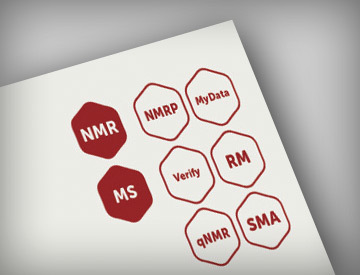 This is the ideal entry package for users who want to process and visualise their data in a single software tool, whether this is NMR or MS. With this package you will be able to open, view, process, analyse, report and predict NMR and MS data, from multiple vendors. This combo is designed for synthetic chemists. 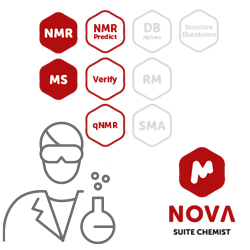 It has all the processing and visualization power of Mnova Suite as well as the tools to automatically confirm your structure, and obtain the purity or concentration for your compounds of interest. 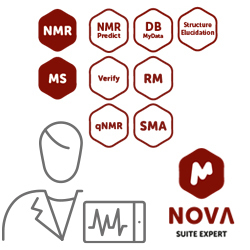 All the functionality developed by Mestrelab within the Mnova environment, as well as access to future Mnova plugins. You can do everything, plus take advantage of databasing, assisted de novo structure elucidation, follow reactions, extract kinetics and much more! Our Combo packages allow us to be a little bit more aggresive with our pricings and you can benefit from that. Also, if you are upgrading from any other combo we can discount you the price you have already paid! By using our multipage ppt-like interface your users will save time when learning and using the software. Whenever we decide to include a new plugin into your package you will get it when you update your version. Prefer to get individual plugins instead? 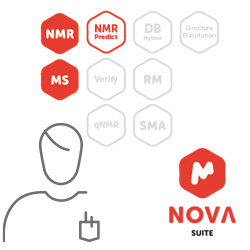 We want Mnova to be as flexible as possible. Perhaps you can progress to combos later when you are more familiar with our range, with the confidence that your investment will be counted against eventual overall cost.